Great Southern – the feeling of open spaces and long roads. 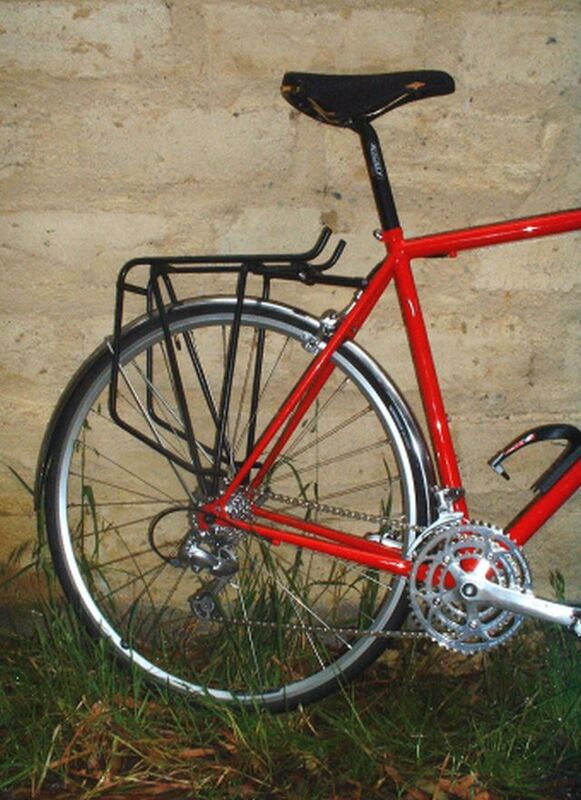 A bike designed with a singular purpose, to travel light and fast. 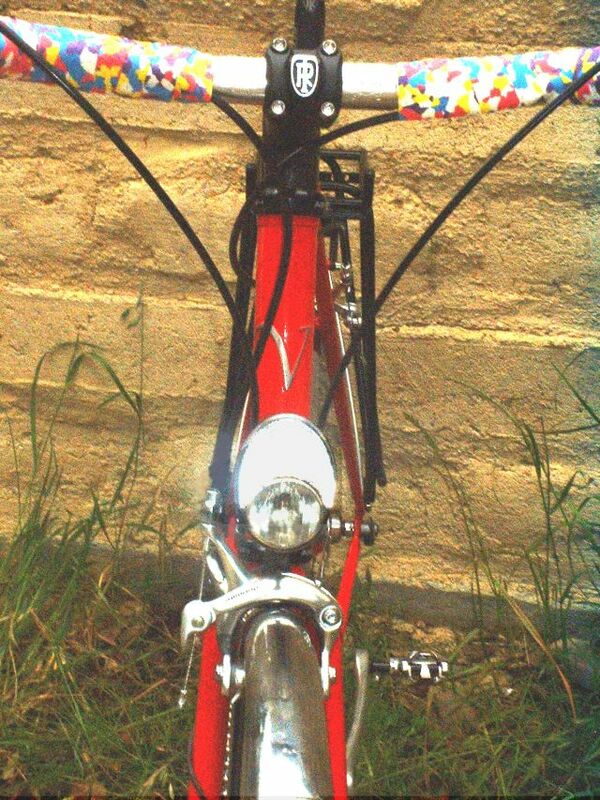 Swooping lightly through corners, cruising in the moonlight on roads deserted but for your fellow cyclists. Hour after hour of comfortable riding on a frame that fits you as well as any can. 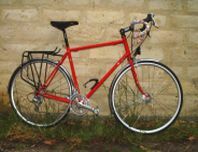 The Great Southern is constructed from light and resilient Reynolds 631 tubing giving you a ride that only top quality steel tubing can provide. The Great Southern will provide you with a lifetime of cycling no matter how many hours you spend in the saddle. The Great Southern is not built as a heavy load carrying tourer. 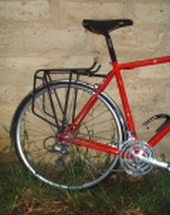 The frame is equipped with front and rear rack mountings as even when credit card touring a more few kilos have to be carried than can fit in a handle bar bag. Front low rider fittings also provide a great place to attach lights. 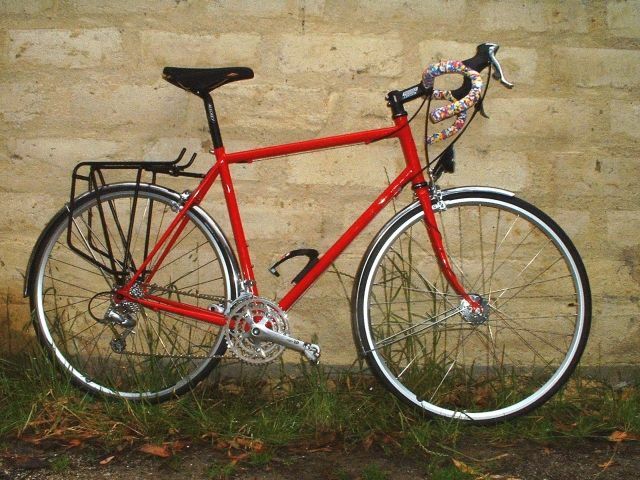 The philosophy behind Velosmith bikes is to produce the best possible bike for its intended use. It is for this reason that the Great Southern and the Cyclotouriste is equipped with the latest top quality Shimano 8 speed STI brake/shift levers. 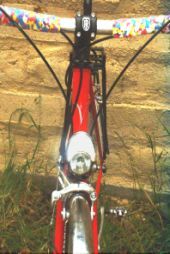 These particular shifters (which are of 105/Ultegra level) are little used given the ever-increasing number of cogs on rear cassettes. 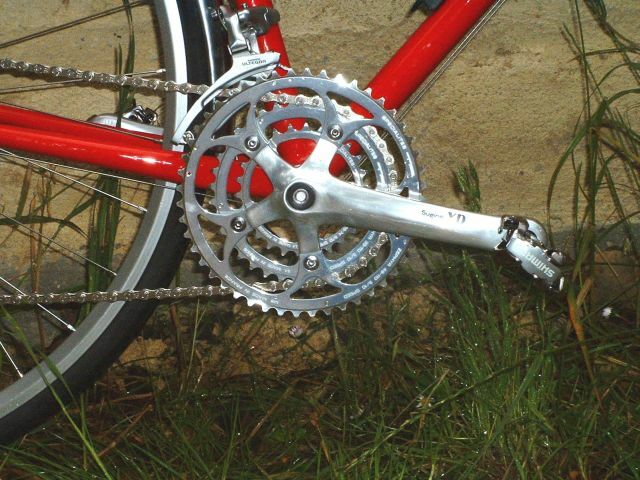 The ten-speed derailleur systems that are becoming more and more common on road bikes add complexity and extra maintenance for at best an extra ratio or two. 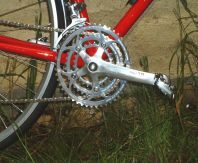 Eight speed cassettes are available in a wider range of capacities that suits a more touring style of riding than out and out racing and the wider chain is more durable and less likely to cause problems on the road. Velosmith does not view this as a retro move rather a pragmatic decision to ensure your Great Southern or Cyclotouriste are as reliable and trouble-free as possible. $4,850 including delivery anywhere in Australia. Frame and Forks Fillet Brazed Reynolds 631 main triangle, Reynolds 725 stays, and Reynolds 531 forks. Specifications may change at short notice due to availability of components. Contact Velosmith for upgrade prices.